Price Each $2.95 ea. $2.60 ea. $2.35 ea. The perfect blue ribbons for any event. 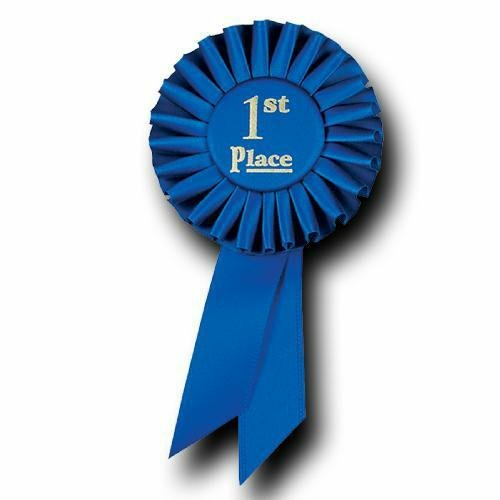 Each blue prize ribbon features a satin button and pin back and is a perfect way to reward your first place winners! Measures 3 1/2" x 6 1/2". Minimum quantity: 10. Ships in just 1-2 business days! Item 5RBS. Also see our other color and place ribbons and custom blue ribbons and rosettes.